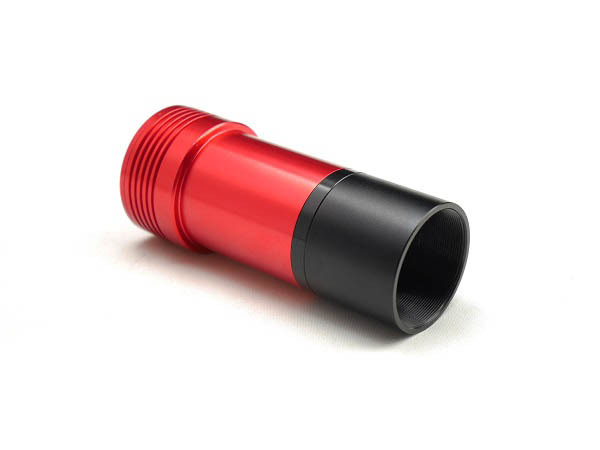 ZWO ASI290MM Mini is Available Now!!! 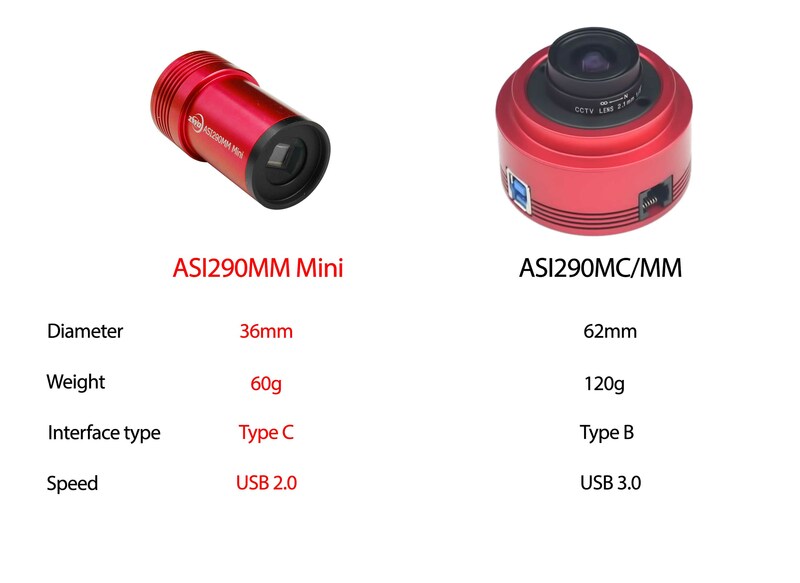 Will the ASI290 mini work with the ASIAir module — the camera is only USB 2.0 and I heard that the ASIAir only works with USB 3.0 cameras -0- Thanks! Yes, it is supported. 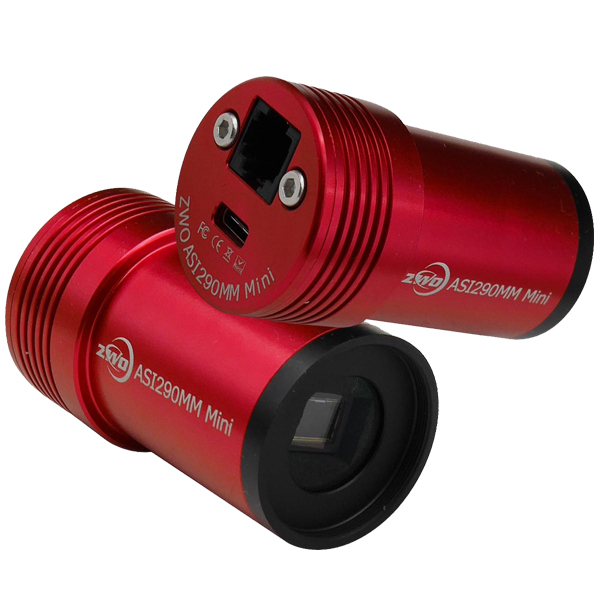 USB3.0 cameras and Mini cameras. It is supported. 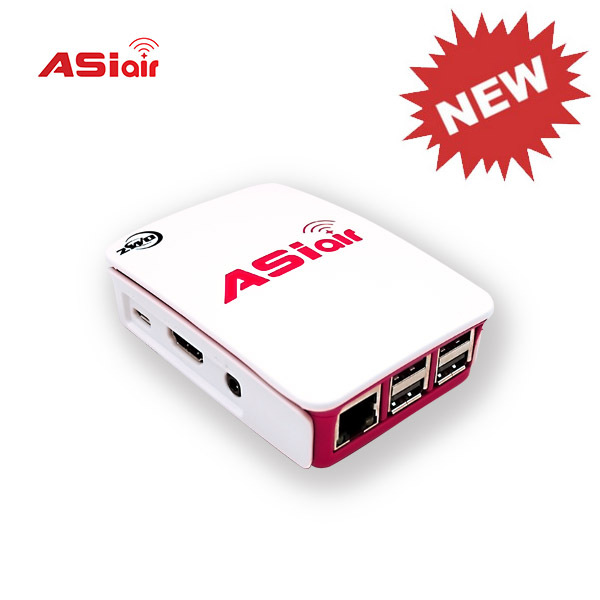 ASIAIR support all USB3.0 cameras and mini cameras. 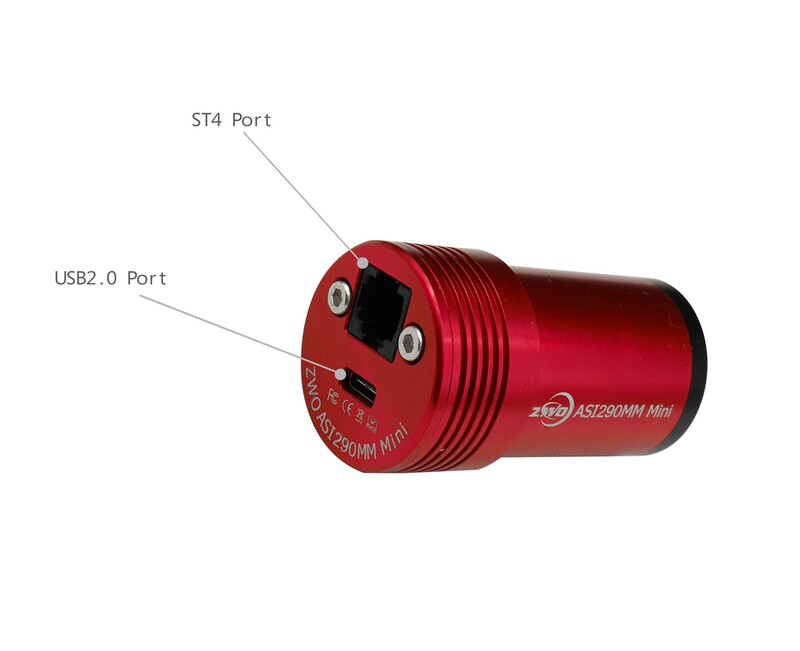 When for convienience I plug my ASI290mm-Mini into my ASI071-Pro USB hub (on the back of the 071) does it automatically slow the ASI071 down to usb 2 speed even though I have the 071 on a USB 3 cable to computer? 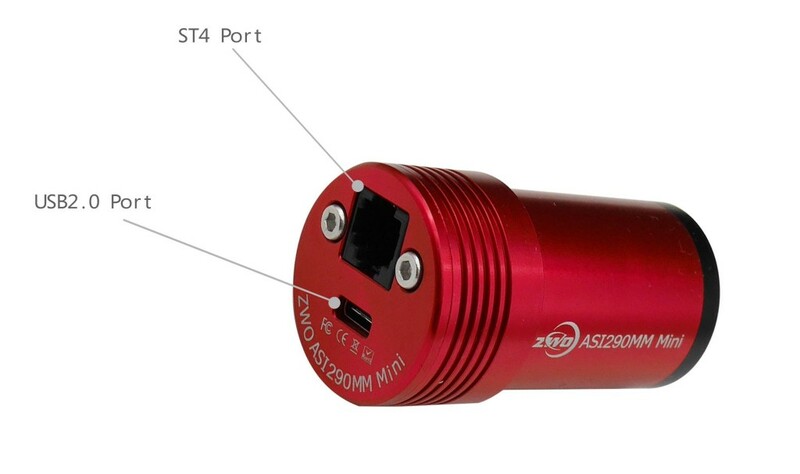 No, 071 will keep USB3.0 speed. Very new to this guiding thing. 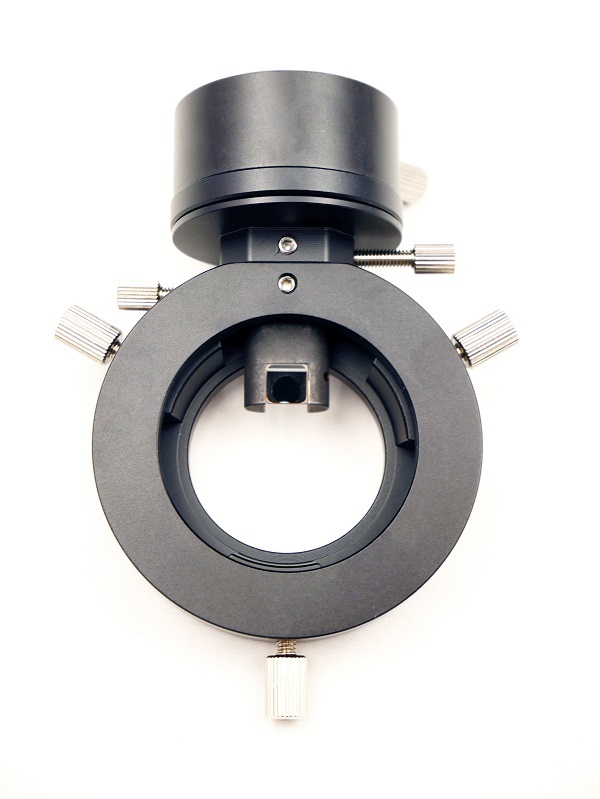 I have done a lot of manual guiding with the prime being a 16″ F 4.5. My question is on focusing. 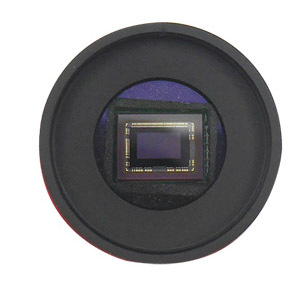 I focus with an eyepiece, then I take the eyepiece out, and install the camera, and the camera will be in focus? 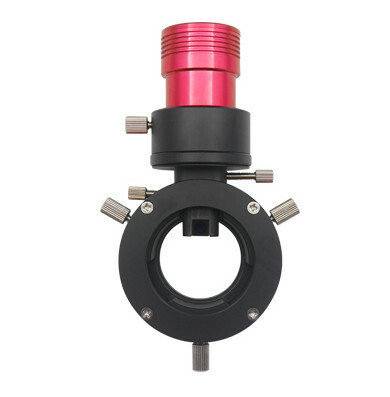 Does it matter which eyepiece I use? Thanks. Thanks for your reply – I’m pleased to hear this. I also have to retract what I said about amp-glow in my 290MC-Cool; the other night I shot a series of 2 minute darks with the camera at -25C, and the residual amp-glow was so subtle I had to view the frames with log scaling and histogram stretching to see it. Perhaps I was using old software the last time… apologies. I’m saving my pennies for the 294MC for DSI on larger (20+ inch) telescopes, but also want to try the 290MM-mini as it turns out I don’t known an unfiltered sensor (nor a dedicated guider, other than my ASI120MC). Thanks! 290mini is much sensitive than 120mc and more precise(smaller pixel size), it will provide a new experience in guiding. Hi Sean – “Ruben” asked in January if the camera employs amp glow reduction circuitry. I’m unclear about your answer. The IMX290LQR-C is the same chip as the IMX290LLR-C (mono version) , except that the mono version lacks a colour Bayer matrix on the pixels (which is entirely transparent > 850nm so here, both are effectively totally identical). The ASI290MC-cool I purchased from you a couple of years ago shows amp glow. Does this camera have circuitry to reduce amp-glow, even though it is intended mainly for guiding? If you wanted to take long exposures with it some cold winter night, would you see uncontrolled amp-glow or does it use similar circuitry to your bigger 290 cameras which should, by now, control amp-glow? – Thanks. Yes, all our cameras employs amp glow reduction circuitry. 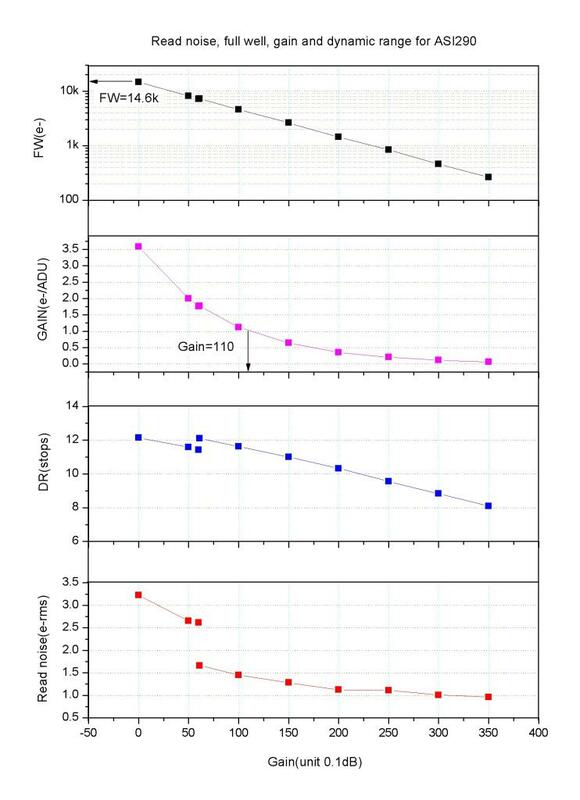 reduce is not means disappear, the amp-glow still there, just less than without amp glow reduction. I don’t recommand to use 290 for long exposure, it isn’t as good as 1600 or other DSO camera. 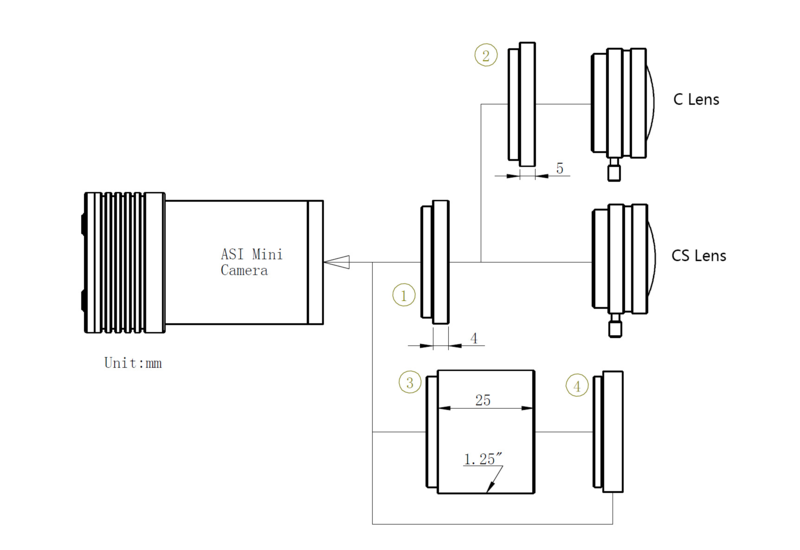 No, but EFW have 1.25″ holder, you may use 1.25″ interface to make connection. Sean, thank you for your reply. Indeed it does depend on the QE, but it is tricky to assess this with relative instead of absolute QE curves. Nevertheless, an estimation can be appreciated. In the description for the 290m, you state “QE peak is over 80%.”. 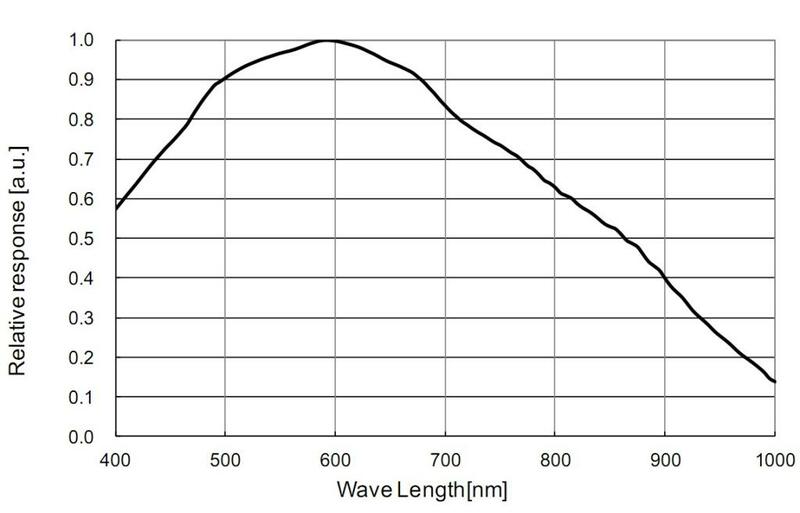 Therefore, if at 850nm the relative QE is ~0.5, then the absolute QE for the 290m at that wavelength should be ~40%. In comparison, in the description for the 224c you state “we estimate the Peak Value should between 75%-80%” If we also take 80% as best case scenario, then we can see that at 850nm, the relative QE is ~0.45, then the absolute QE for the 224C at that wavelength should be ~36%, which is slightly lower than the 290m. By the time we reach 1000nm, the extinction of the curve for the 224C finishes at ~0.1, whereas for the 290m, it finishes at ~0.15. Given the above, I can surmise that the 290m is actually slightly more sensitive in the IR range than the 224c. Yes, add one explanation, mono camera is more sensitive than color camera( same chip model). 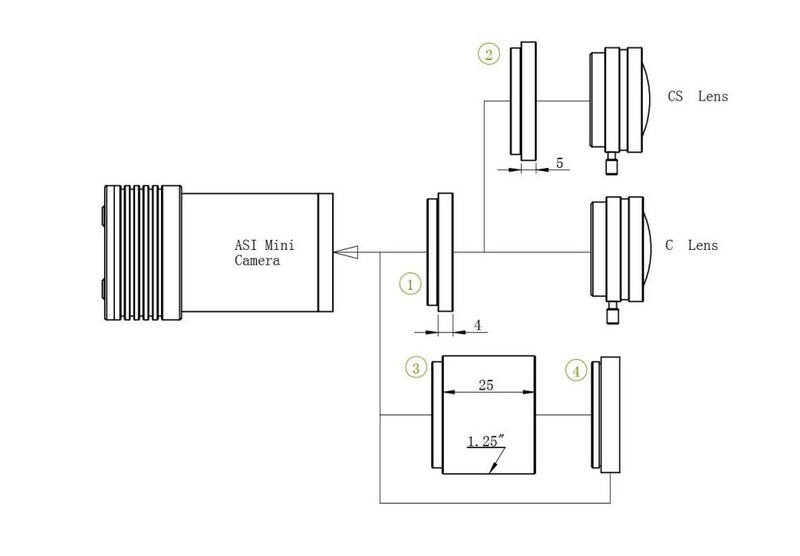 Hi, which of these two cameras is the most sensitive in the IR range (ZWO IR pass filter >850nm) for guiding: ASI224C or ASI290MM (mono)? Depand on QE curve, 224mc is more sensitive thant 290 in IR range. What is the advantage of this new small form factor compared to the old one? 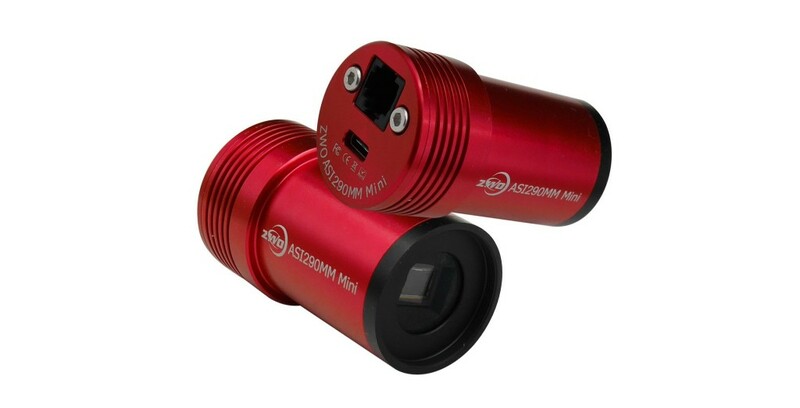 Mini camera is designed to be a guide camera, the purpose is different. 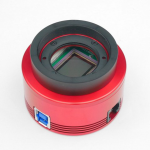 If interested mainly in planetary imaging, this camera should do well? Not the frame rate performance of USB3, but enough frame rate to deliver excellent results? Yes, You are correct. 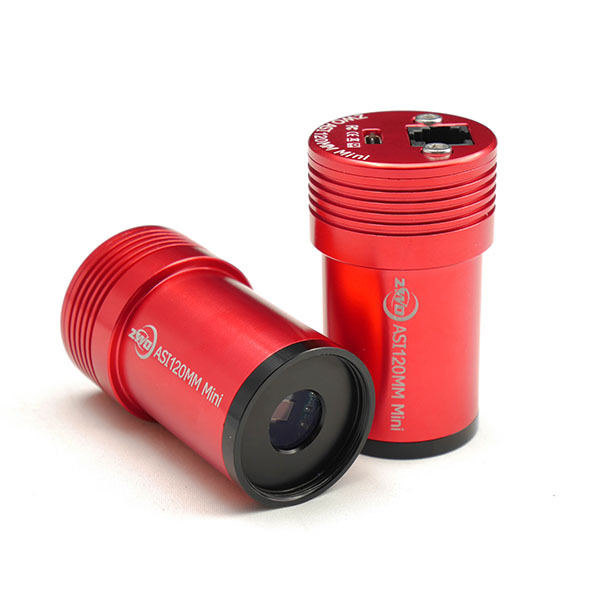 It can be used in planetary imaging, just a little slow than USB3.0 cameras. 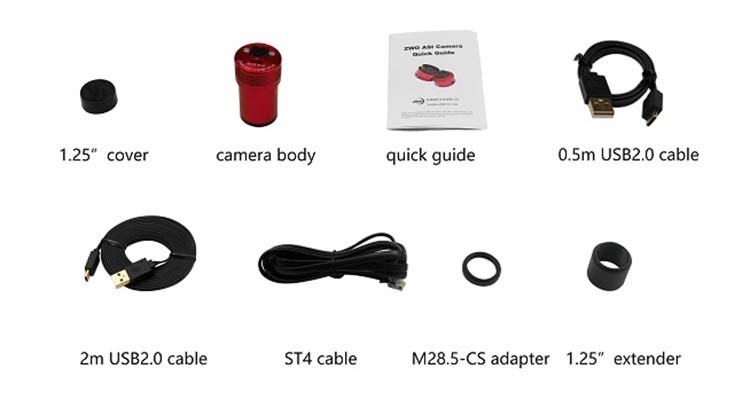 Is there a specific work around using USB over CAT5 to get this as well as your other CMOS based cameras to work. Currently the 290 mini, nor the 174 mini will work on a usb over cat5 connection. Yes, our camera support CAT5. have this camera amp glow reduction? 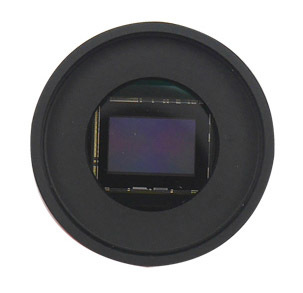 What is the back focus from the end of the adapter to the sensor? 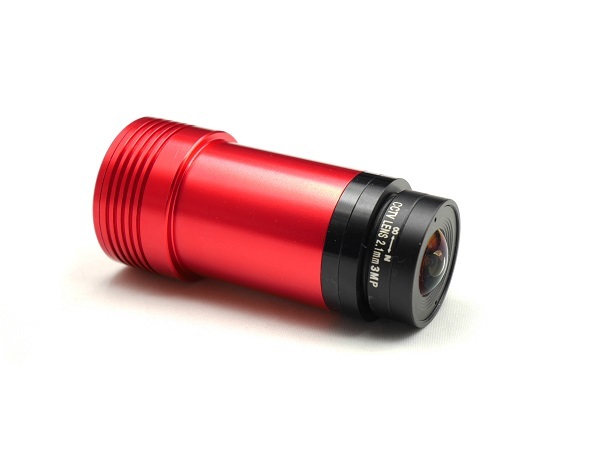 When will the ASI-290MM Mini be back in stock?